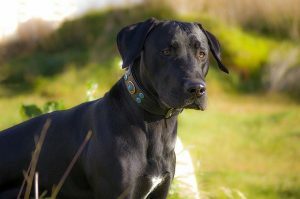 Are you worried about your dog overheating in summer? If we were walking around in a fur coat during summer we’d want a cool place to lie down too. Elevated dog beds are usually raised about 7-inch off the ground. They allow air circulation and provide a comfortable place for your dog to relax during the warmer months. To find the best cooling dog bed for your pup, here are the details you need. At first I thought the canopy accessory that’s available on some elevated dog beds was ridiculous. Why would you give your dog a tiny bit of shade with a small canopy? However, then I realized how useful a canopy is when I placed our dog bed on the back deck. Even though the deck is covered, the sun streams in on an angle to where my pup likes to sleep during the day. With the dog bed canopy being lower down it does a better job at keeping the sun off our pup. If you’re buying a new cooling dog bed, you might also want to consider a soft pad for the top of the bed during the winter months. Most dogs take to their elevated dog bed within hours of seeing it. Once the weather turns cold it’s good to be able to offer them a warm soft top to the bed they love. If you need more cooling options for your dog, there are cooling pads too. Some of these are gel filled. 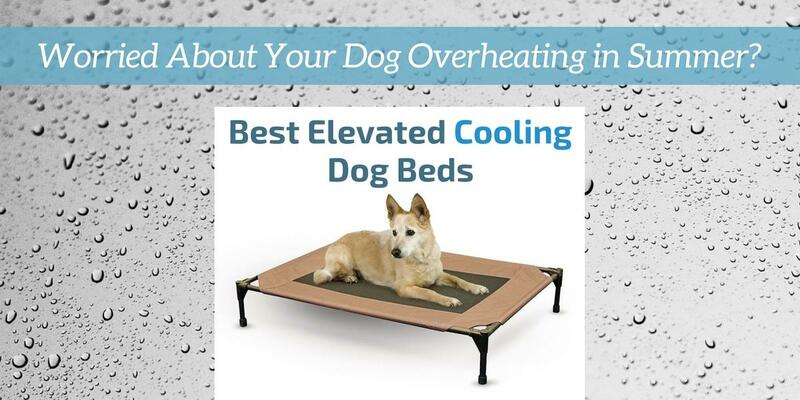 A cooling pad is another option for the top of your elevated dog bed. If you want versatility, make sure you get a dog bed that can go indoors or outside. There are plenty of different colors and sizes of bed too. Consider whether you want two dogs to sleep on one bed together or whether you’ll get a separate bed for each dog. So, let’s find the best cooling dog bed for your furry friends. Here are the details. 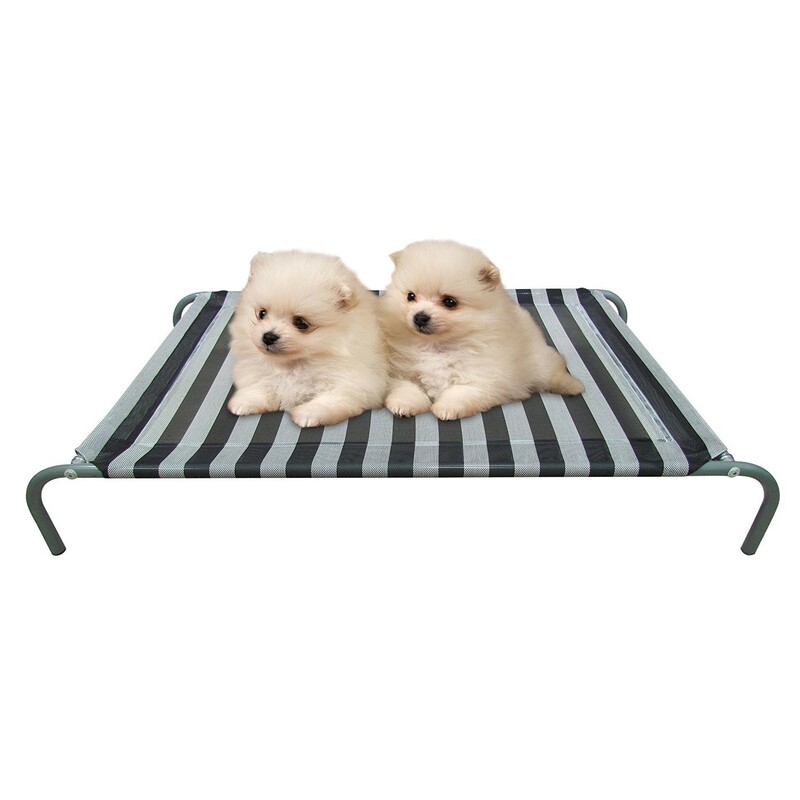 This cooling dog bed is an elevated metal frame with fabric. It sounds simple, right? I still don’t know why dogs love this bed so much, but they absolutely adore it. This would have to be one of the most popular dog beds available. It has almost 10,000 reviews on Amazon with an average rating of 4.4 out of 5 at the time of writing. I love this review about a cattle dog with too much energy (see here). If you own an active dog who still has too much energy at the end of the day, you’ll know what I mean when I say this reviewer says it all. The elevation on this elevated dog bed lets air circulate underneath which makes it the best cooling dog bed for summer. If you want to make it even cooler you can add a cooling mat on top for the hotter months. This Coolaroo cooling dog bed comes in different sizes. The large size is for breeds like Retrievers, Siberian Huskies, Dalmations and other large dogs. The medium suits dogs like Spaniels or Cattle Dogs. The medium size is also good for smaller dogs to have room to stretch out. The fabric on this elevated dog bed is sturdy and it can be used indoors or outside. If you haven’t tried a Coolaroo Pet Bed yet, it’s time to get one. I think you’ll be pleased with it. And your dog will love it. The Allmax cooling dog bed is high quality and looks good too. The stripe fabric comes in three different colors. There are three sizes to choose from and you can see each size in the link above. The mesh fabric is strong and well ventilated. It is perfect for a cooling dog bed. You can even bath your dog on top of this bed and the water runs through the mesh. I don’t think this is the intended use for the bed and it may shorten the life of the product, so I wouldn’t recommend it. But I did read a review about one owner using it to bath her large dog with hip problems, so it’s good to know it works for this, if you really need to use it that way. The dog bed can be easily washed off with the garden hose if you need to clean it. Some buyers have had trouble putting this dog bed together. It may require 2 people to help stretch the fabric across the frame the first time. This is not an uncommon problem. Most elevated dog beds need to be constructed with the fabric pulled very tight so there is no sag when your dog sits on it. There are other people who say it only took them a minute to put the bed together. So, obviously reviews vary. Overall, this is a high quality cooling dog bed so even if you need help from another person to put it together, it’s probably still worth the effort. ✅ Check here to see if this K&H bed is discounted today. If it’s under $30 it’s great value. Even if it’s over $30 it’s still worth getting. This K&H elevated dog bed is another popular pet bed. 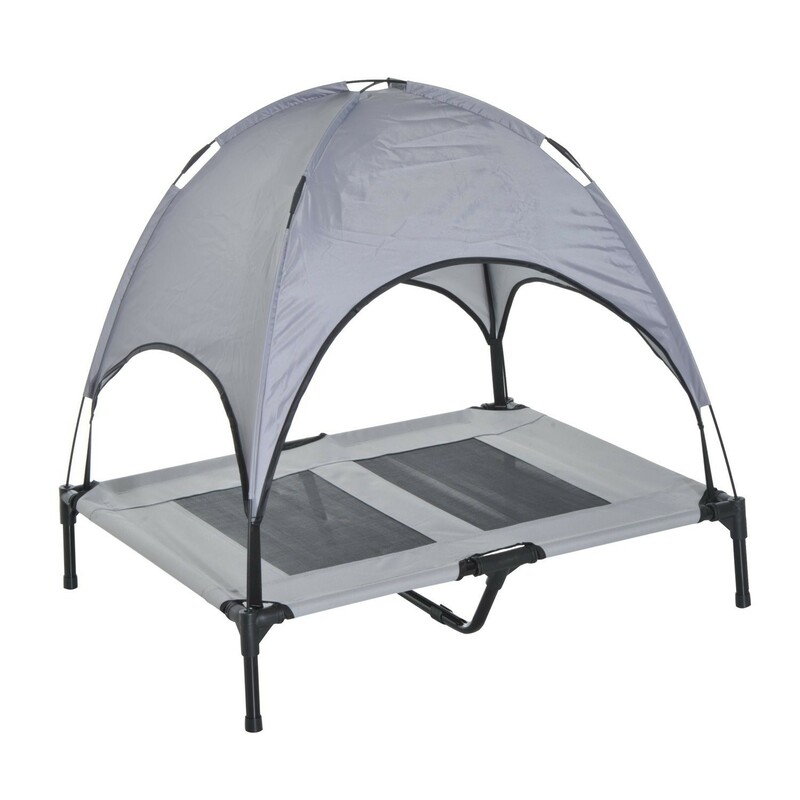 It has a sturdy frame allowing air to circulate underneath. And if you’re looking for the best cooling dog bed for summer, this model has the optional extra of a canopy to provide extra shade. The center part of the fabric is mesh so it’s cooler than other elevated dog beds. This dog bed comes in several different sizes. To see the actual dimensions on each, click the link above. K&H also make a matching comfort pad to sit on top of this elevated dog bed. It has a microfleece top and it’s polyester filled. While it’s good and comfy for your dog, I wouldn’t recommend it in the warmer months if you’re looking for a cooling bed. The comfort pad would be a good addition to this bed in winter. It’s machine washable and stays in place with a fitted strap. If you’re interested in the K&H accessories for the cooling dog bed, you should note that most of them are available in all sizes except for the extra large dog bed. It’s great that the extra large bed is available for your dog, but just don’t count on getting any of the accessories to match its size. 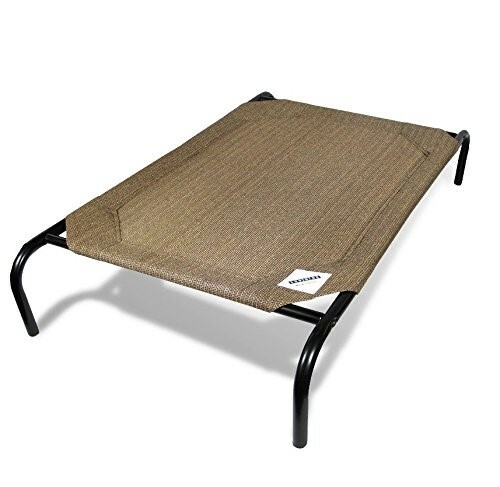 The K&H elevated dog bed is a good option for the summer months. It’s an ideal cooling dog bed with the mesh in the middle of the fabric allowing greater air flow. ✅ There are 4 sizes available for this Pawhut bed. See more details here for the size that best suits your dog. 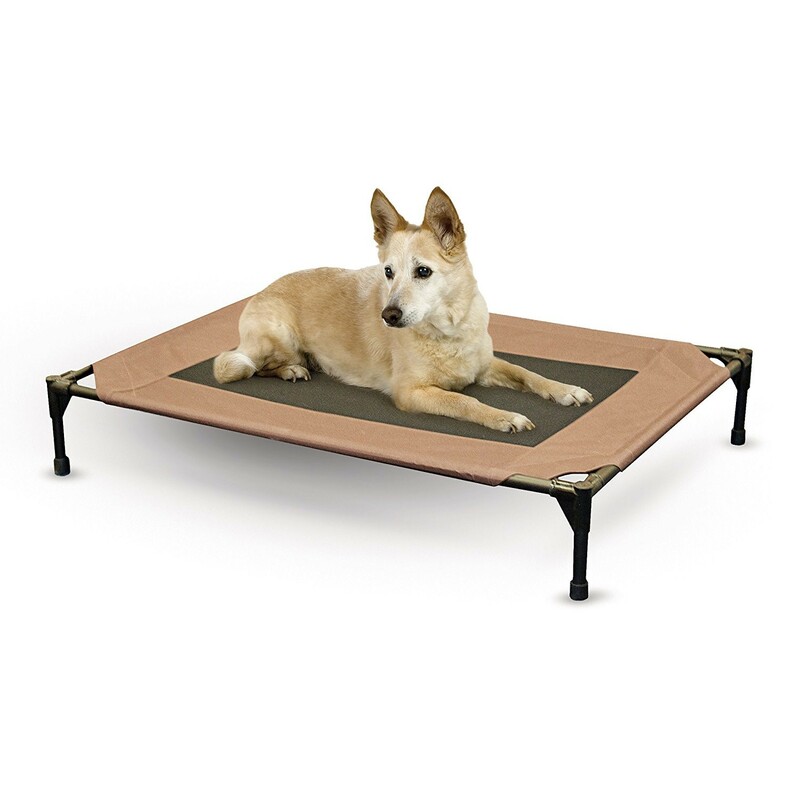 This is a good quality cooling dog bed, elevated for air circulation and it includes a shade canopy. There are four sizes and each includes the canopy (see link above for the dimensions). Each size includes mesh panels in the design of the fabric part of the dog bed for air flow. The small size has one mesh panel. The medium bed has two mesh panels and the large has three panels. I’m guessing the fabric between the mesh panels provides extra strength compared to the other dog beds that just have one large panel for a large dog bed. It strikes me that the separate panels may also appeal to dog owners who will have more than one dog sleeping on the same elevated bed. If you’re going to have two dogs on this cooling dog bed they will each be on a mesh panel if you’re using a medium sized bed with the two panels. And yet there is the fabric between the mesh, presumably providing a stronger support across the bed. It’s a good feature including the canopy on each size dog bed. If you use it outside there’s protection from the sun. And of course, as I discovered, even if you’re using this elevated cooling dog bed on a deck covered by a roof, it will provide better sun protection from the sun coming in at a lower angle. This cooling dog bed includes a bag so you can pack it up and take it with you wherever you go. This elevated dog bed is a good design and of sturdy construction. It’s a great choice to keep your dog cool this summer. ☑ Did you know that eating too fast can be a danger for your dog? See more details here on Slow Feeder Bowls. ☑ Want to keep an eye on your pup while you’re at work? See the best Dog Camera Treat Dispensers here. This entry was posted in Comfort & Mobility on June 25, 2017 by Didi.